Whether you have a fireplace or not, many houses still have chimney stacks and even some new houses are designed with them for aesthetic purposes. However, like your roof, high winds and driving rain coupled with warm summer days all take their toll on cement work, so eventually, the mortar used in your chimney’s construction can start to deteriorate. 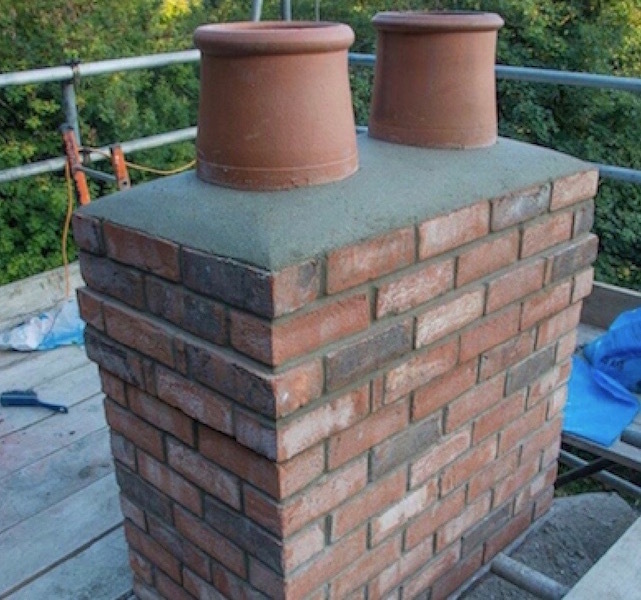 It makes sense, therefore, especially if you live in an older property, to have your chimney inspected from time to time to ensure the pointing is still sound. 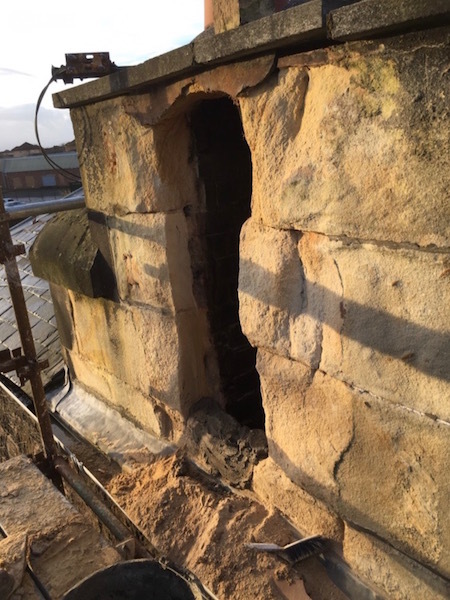 After all, the last thing you want is for your chimney to come crashing down to the ground, causing damage to your property on the way down, or even causing injury to someone at ground level. DC Roofcare Limited of Irvine carry out chimney inspections and offer chimney repairs and even removal services throughout Ayrshire and surrounding areas. Call 01294 507530 or 07528 854639 now for a free, no obligation quote. 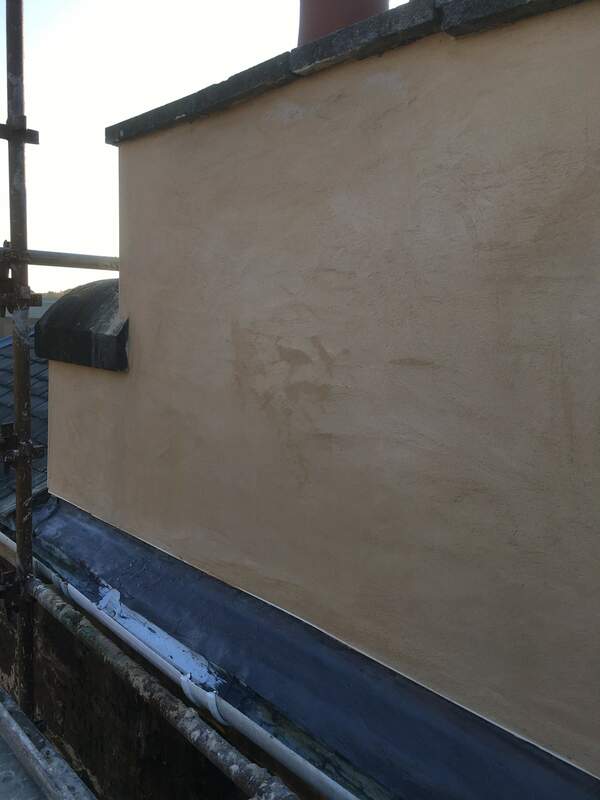 BELOW: Before and after images of repair work to a chimney in Irvine, Ayrshire. "We had our dilapidated chimneys patch up and some of the roof repaired back in August and overall were very happy with the professionalism and reliability of the DC Roofcare workers. We decided to wait until the bad weather started to come in before giving a review and are happy to say that the work is so far standing up to the wild elements very well so far! We are most impressed and would highly recommend them." - Piers Smith.